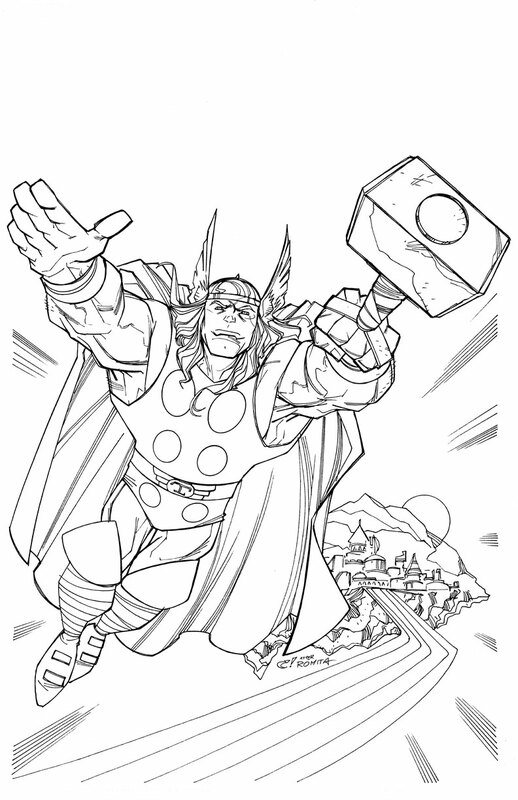 and the third (and last for now, deadlines are tight for a bit) marvel treasury cover redo is thor... man, i LOVE drawing thor (i'd say the simonson run left a BIG impression on me.... this is a "romita by way of simonson" homage)... back to work. 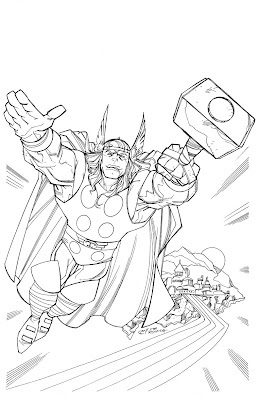 Man, I loved those shots of Thor flying away from Asgard over the rainbow bridge. Thanks for bringing a smile to my face. Great job on that Thor! I'm really enjoying FLASHFORWARD. Not sure why it's not a hit. It's got a great cast and some great suspense. And LOST is really getting good. Man, I'm going to miss that show next year. now in color! with words! !